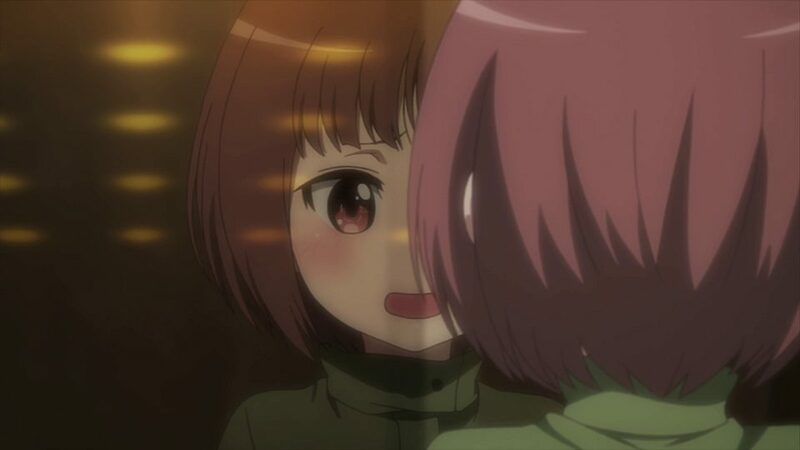 Inspired by the SAO series GGO is staying true to its format. While the SAO fans will be sure to enjoy this aspect, other viewers may find this format repetitive. Another shortcoming of this anime is the predominant use of gun and gunplay. 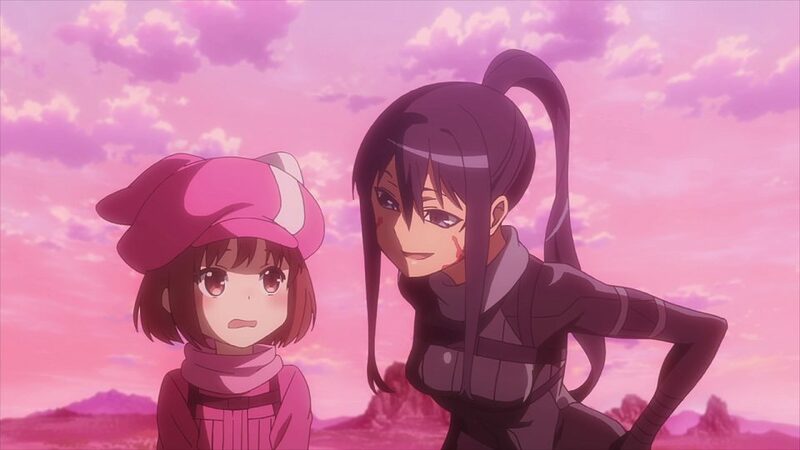 With this let us start off with the Gun Gale Online Episode 2 Review. Karen is tall enough for the real world and consequently, she developed a complex about her tall height. Thanks to the virtual world and Gun Gale Online she gets to live in an alternate ‘reality’ through her small-statured avatar. She names her avatar LLENN, picks out a pink outfit and a matching submachine gun which she names ‘P-chan.’ She learns that snapshots are better suited to her skill set and sticks to submachine guns. 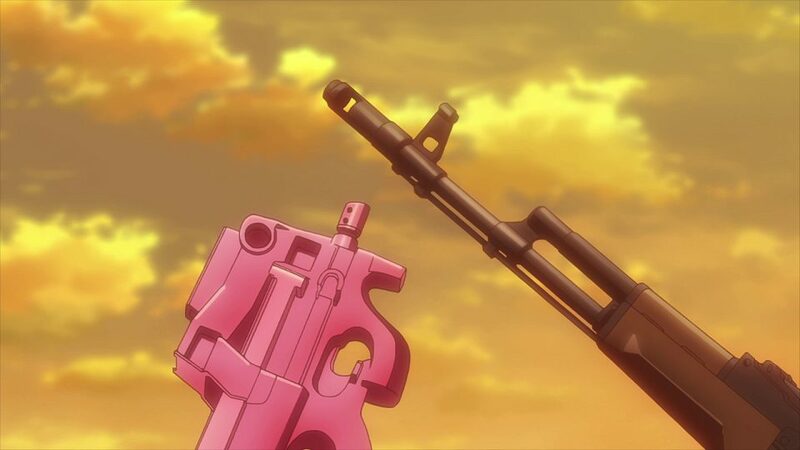 Soon, she also learns that her desert pink colour can provide a great level of camouflage in the GGO environment. As a result, she starts to improve her agility skill enabling her to attain ultra-high speeds making it possible to make close range attacks. What drove her into a VR world is her hight complex. This certainly is not enough for an interesting plot. Maybe, later in the series, she finds a better motivation to play GGO. One day, she gets discovered by a female player, Pitohui and they end up as friends. Pitohui’s introduction could have been done much better. I was a bit disappointed but it is to be seen how her skills will be showcased in the coming episodes. Pitohui gives a twisted and mysterious vibe, which I like, but it does not clearly stand out. I fear that she would not be given any character development and that would be so bad. Episode 2 seemed rushed and hence brought down the enjoyment level. Well, this the case only because the series is staying true to the light novel plot. The episode did a good job of explaining the basic of GGO and especially puts things in perspective for people who have not watched or know about SAO. There is a lingering feeling that the main story has not started yet. We barely know anything about Pitohui we still have to learn about the character M. Also, the overall plot of the series, if any, is yet to be revealed to us. The plot right now is so simplistic – a group of VR gunplay loving people battle it out for the latest weapons, items and for some entertainment. I am sure many views would be having mixed feeling about the anime now. We can only hope for the next episode to pull back our attention towards the series.